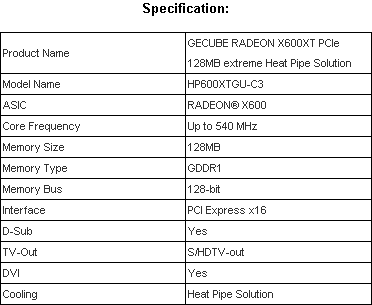 Taipei, 07, December, 2004 – Info-Tek, producer of the leading GECUBE brand name graphics cards, announced today the release of the GECUBE RADEON® X600XT SilenCool graphics card, the newest product from GECUBE’s SilenCool series. 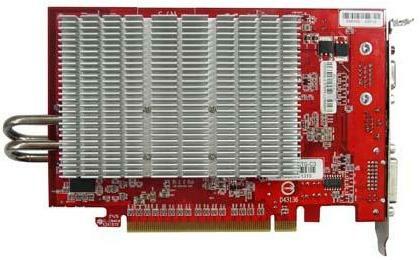 Along with the GECUBE RADEON RX700PRO, this new graphics card uses GECUBE’s exclusive SilenCool technology, which features a One-Slot heat dispersion system and provides a completely noise-free, high quality PC user environment. GECUBE’s SilenCool dual-side Heat Pipe cover completely covers the graphics chip and memory portion of the graphics card. With this design, the GECUBE RADEON® X600XT achieves optimal heat dispersion and ensures system stability when operating for long periods of time, and increases the overall life of your heat dispersion system. Moreover, SilenCool technology does not use any fan, giving users a noise-free space that enhances multimedia sounds. SilenCool’s One-Slot architecture significantly reduces Heat Pipe size, freeing up PCIe x1 slots – the smaller size reduces structural interference and ensures the most effective heat dispersion for the GECUBE RADEON X600XT. GECUBE RADEON® X600XT also employs an unique; Heat Pipe design that positions the Heat Sink canals at special angles, making them deeper and allowing for faster heat dispersion. 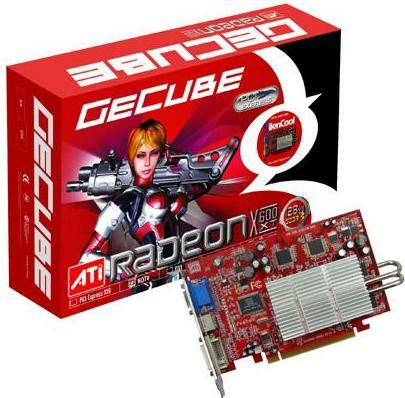 With GECUBE’s unique design, you can now enjoy an improved performance and everything you wished for in a graphics card with the GECUBE RADEON® X600XT SilenCool series.